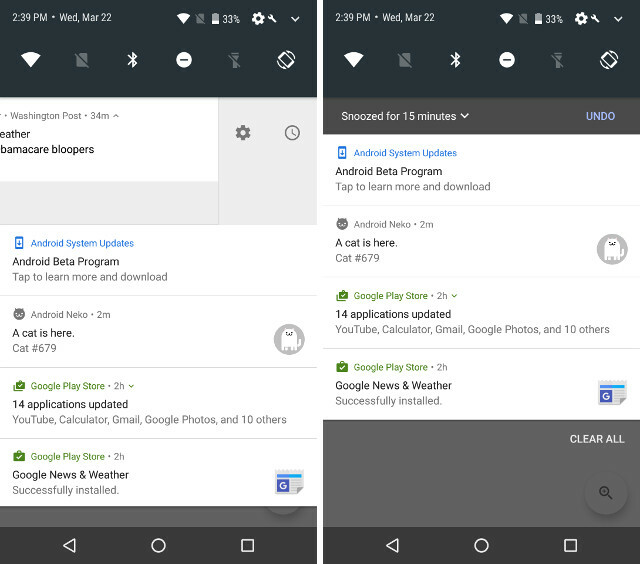 Android O brings even more control over notifications with a feature called “Notification Channels“. 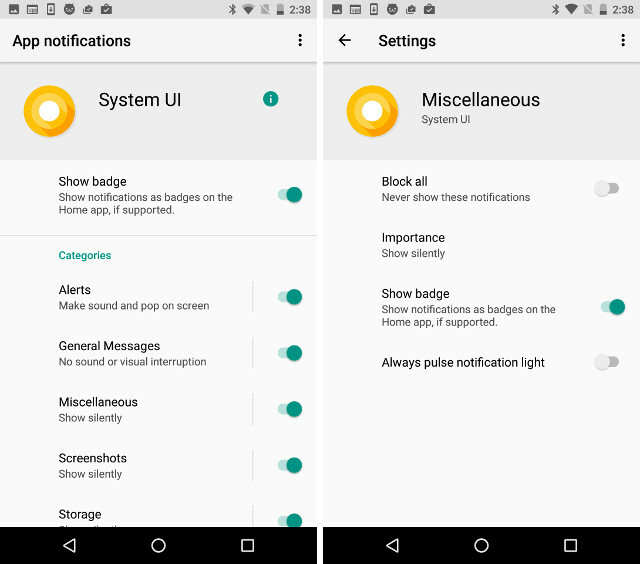 With this new feature, apps can classify notifications into different categories, allowing users to configure notification settings on a “per-category” basis, rather than the old method of configuring notifications for the entire app. So, for example, the News app could classify notifications by the type of news you’re following, and you’ll be able to mute notifications for specific news types, rather than having to suppress notifications from the complete app. Another cool new feature that Android O brings to the notifications, is “Snooze”. You can now snooze notifications that you’d rather deal with at a later time. By default, notifications get snoozed for 15 minutes, but you can increase that to 1 hour. When the notification reappears, it’ll be pushed back with the same level of importance as it originally was. Also, apps can update snoozed notifications, but updating notifications will not override snooze. This means, that if you snooze a notification and it gets updated, you’ll simply see the updated notification once the snooze period ends. This is definitely a feature that’ll make handling notifications a lot easier. With the release of Android Nougat, Android TVs started supporting Picture in Picture mode. However, not many developers jumped on the PiP wagon, and the Play Store was left with a severe lack of apps that supported the feature. With Android O, Google is looking to change all that, and is bringing the PiP mode to phones and tablets running Android O. This should definitely give developers the push to make their apps compatible with Picture in Picture mode. In its current state, the YouTube app seems to support PiP. It even has a toggle for allowing PiP for the app. However, even with the toggle on, I couldn’t get PiP to work on the YouTube app. The feature is definitely there, that much is obvious, but I couldn’t cross-examine Google’s claims that the PiP window will be able to have custom aspect ratios, and much more. Either way, I definitely think that PiP is a cool feature, albeit a novelty for most people. Whether or not it actually makes a difference to how we use our Android phones remains to be seen. Android O also aims to improve the battery life of your device quite a bit. It does this in a plethora of ways. However, a couple of tweaks definitely stand out. 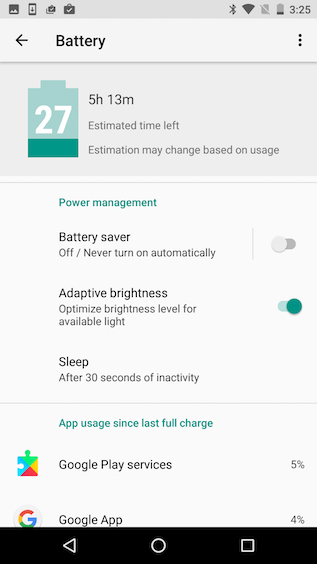 First, Android brought along the “Doze” feature in Android Marshmallow, aiming to reduce the amount of battery consumption by a device when it was sleeping. With Nougat, the Doze feature was made a little aggressive in how it handled background tasks while sleeping. 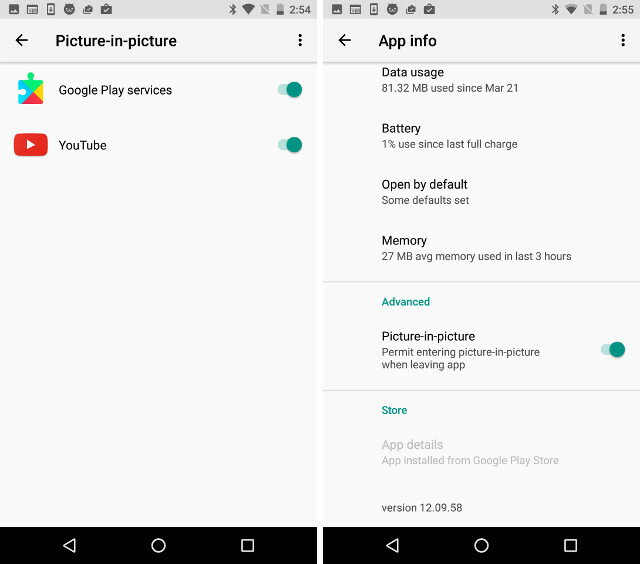 Now, in Android O, Google has continued making Doze even better, with a high level of restrictions placed on app activities when the device is asleep. Apps on devices running Android O, will have to bear more aggressive background limits than in Nougat. 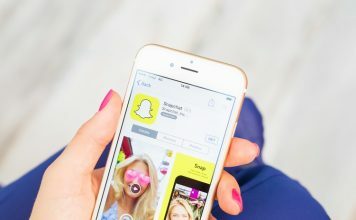 These limits will be implemented in three major areas that cause battery drain in the background: location updates, broadcasts, background services. Background apps in Android O devices, will only be able to ask for the location a few times in an hour. They will also not be able to register for implicit broadcasts, unless they are in the foreground. There’s a lot of technical jargon involved, but the bottom line is that Google is working even harder to extend your device’s battery life. 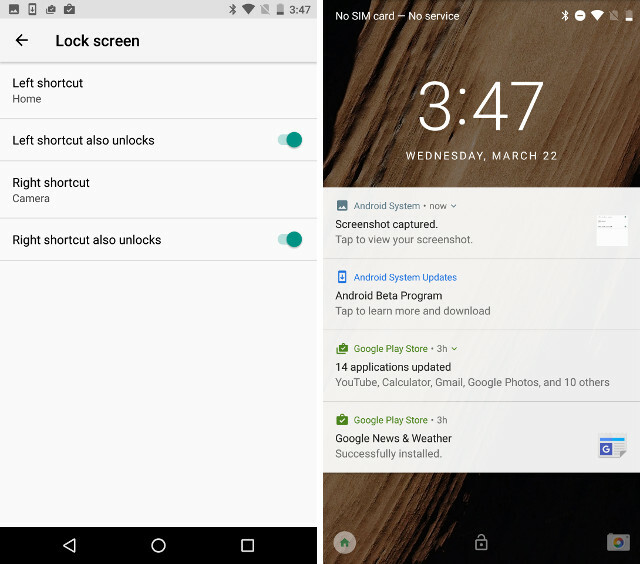 A very useful feature that Google added in Android O – custom lock screen shortcuts – is also one that most people would know from some custom ROM. 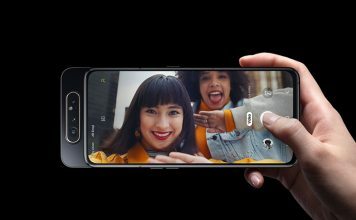 While in older versions of Android, you could swipe from the left corner, or the right corner to activate shortcuts for the Camera, and the Phone; in Android O, you can use the System UI Tuner to set any two apps in those places. So, while you probably do use the Camera shortcut from the lock screen, you can replace the Phone app shortcut with an app that you use more often. 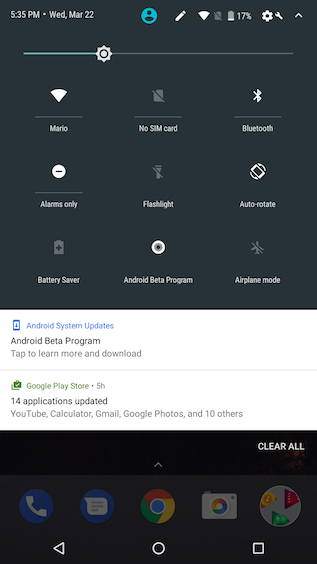 With Android O, the Settings page has been redesigned… again. It’s almost a ritual now. But jokes apart, Google has done a really good job trying to make the Settings page more organised, just the way it should’ve been. Sure, it’ll take some time to get used to the new Settings page in Android O, but it’ll definitely be worth it. It’s shorter in length than the one you’d find in Nougat, thanks to all the categorization of items. Major changes that you’ll be able to see are in the fact that things like “About Phone”, “Developer Options”, “Language and Input”, etc. are inside a broader category called “System”. There’s also no slide-over menu in the Settings app, like there was in Nougat, which was actually something I liked quite a bit. With Android O, changes have also been made to the way Android handles notifications on a device’s Ambient Display. 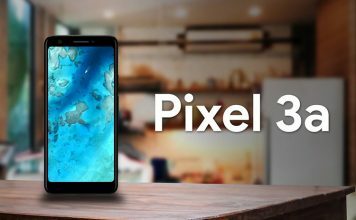 In devices running Android Nougat, the Ambient Display showed very detailed notifications, sometimes even displaying images on the ambient display. While this was good, because the ambient display was able to show a lot of information regarding notifications, it did affect battery life quite a bit. 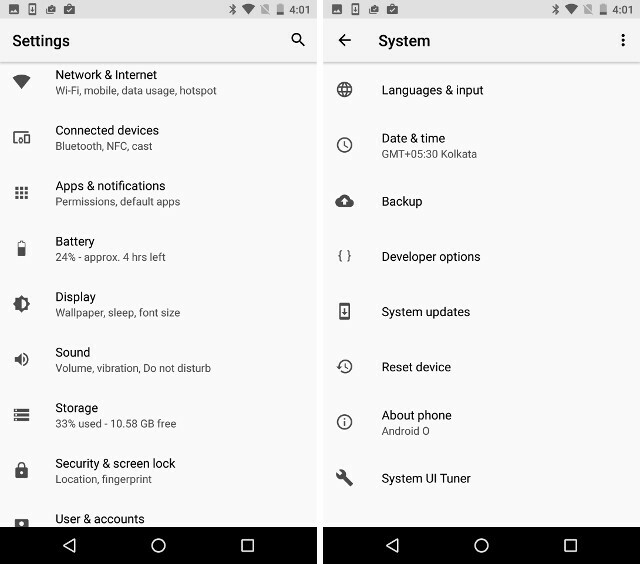 So, Android O opts to show just small app icons on the ambient screen of the device, preserving a lot of battery, and keeping the display looking neat and organised. Installing apps from sources other than the Play Store has been an integral part of Android. 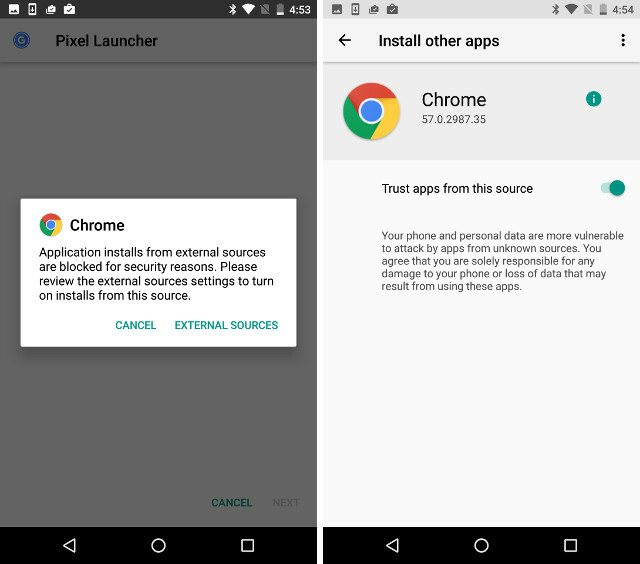 As long as you enable the security setting to allow app installation from unknown sources, you could install any APK that you want. However, once this setting had been enabled, any, and every app could automatically begin installing on your Android device. To handle this, Google has changed the way installation from external sources works in Android O. In Android O, you’ll have to allow installation from unknown sources, on a per-app basis. For example, if you downloaded an app from Google Chrome, you’ll have to enable the unknown sources setting for Google Chrome. Which means, that if you download an APK from a different browser the next time around, you’ll have to enable the setting for that browser, manually. Personally, I think that this is a good way to move towards higher security in a platform that is as open as a platform can be. There’s a long way to go, sure, and doing this manually for every different app will be a little extra work, but if it helps to keep our devices just that much more secure, then I think it’s worth it. Android O has also brought along a plethora of changes to the UI. Some of these are minor changes, and some are a little more noticeable, but for the most part, they’re all good. Some of the changes that I’ve observed, and that are announced are mentioned below. The date and time text on the status bar has changed significantly, and with Android O, Google has opted to go for a much cleaner, thinner font on the Status Bar. 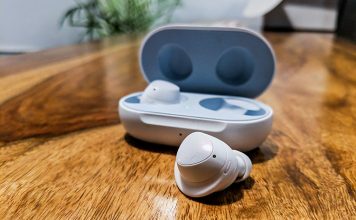 Also, once you’ve pulled the notification shade completely down, tapping on the WiFi, Bluetooth icons no longer opens the quick settings page, choosing to toggle WiFi, or Bluetooth instead. However, you can still tap on the text under the icons to open the quick settings panel. The battery indicator also always lives in the status bar in Android O, unlike in Android N, where it used to shift to the Quick Settings as soon as the notification shade was pulled down. Another major change in Android O, is that you can no longer get the battery percentage to show up inside the battery icon. Even if you enable the setting in System UI Tuner, the percentage will show up on the side of the battery icon in the status bar. Android O also brings along Adaptive Icons, and they are simply amazing. Adaptive icons, as the name suggests, are icons that are displayed by the system in different shapes, depending on a mask selected by the device. So, if you’re using a theme with rounded icons, all apps with adaptive icons will easily switch over to a round shape. Adaptive icons also get spacing on their sides for animations, that the system renders upon user interaction with the icons. Like The New Android O Features? Android O brings along quite a number of new features and changes, and while these were the major changes you should definitely know about, there are a lot of other changes, and under the hood optimizations that Android O is bringing to the table, including things like a low-latency audio API (AAudio API), enhancements ton Android’s WebView model, and a lot more. As always, we would like to know your thoughts on Android O, what you think it’ll be named, and your views on these Android O features. 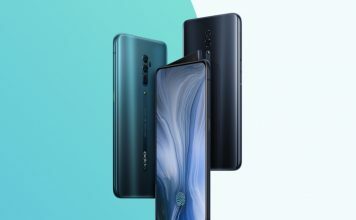 Also, if you know of any other cool feature that you think deserves to be on this list, do let us know about it in the comments section below.